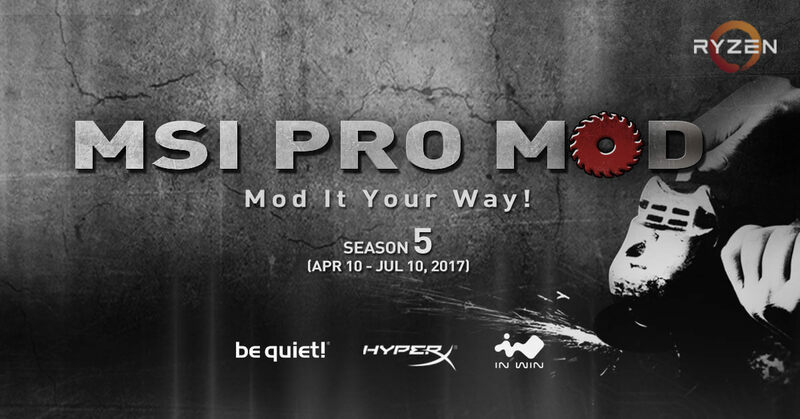 Started in early 2015, the MSI PRO MOD is an established hallowed battleground for global modding masters. 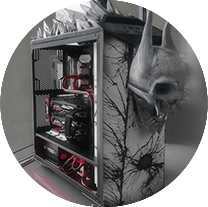 MSI invites worldwide modders to show their passion, professionalism, creativity and craft to the world through on-line competition. 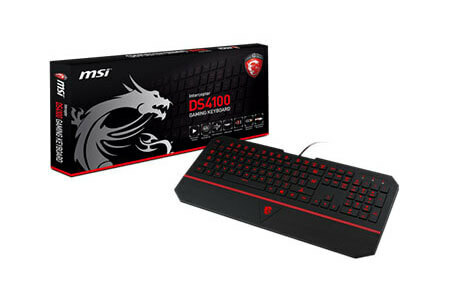 - The motherboard and graphics card assembled in your mod MUST be MSI brand ( onboard GPU is allowed ). 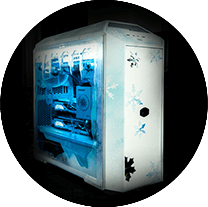 - Your mod must fulfill the “ ARCTIC ” theme requirement. 1. 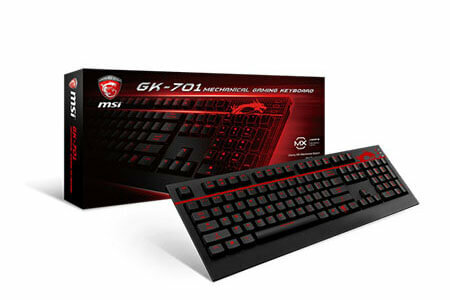 Create your account on MSI Global Forum. ( Existing members can skip this step ). 2. 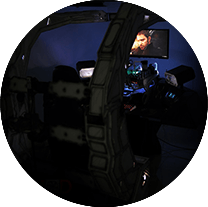 Create your worklog(s) thread under User Reviews & Modding sub-forum from April 10 to July 10, 2017 11:59 PM ( GMT +8 ). • Insert the official banner on the top of your threads. Download the banner file here. • Concept of your mod entry. 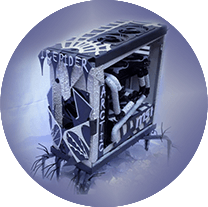 • Post (1) or more pictures of all the components you are going to use in your mod (make sure all pictures are recognizable). • Provide description and photos showing full worklog process (from start to finish). 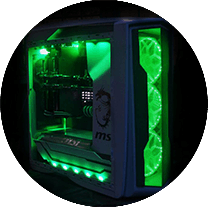 • 5 or more pictures of your FINAL mod entry (preferably W600 x H400 pixels in jpg file format) including 1 highlighting MSI motherboard & graphics card (model name specified). 4. Reply the following message under the campaign thread (here) by July 10, 2017 11:59 PM (GMT +8). * Update and complete your worklog(s) by July 10, 2017 11:59 PM (GMT +8). * Before the submission deadline, you MUST complete your mod. 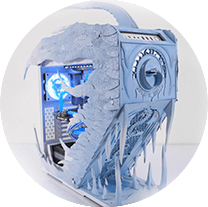 * Awarded to the Top 3 place from Scratch Build & casemod. 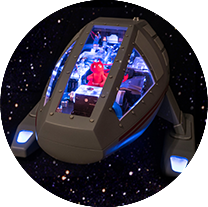 * Special Jury Prize – Awarded to the 1st place of entries designed with brilliant 3D part. * People’s Choice Prize – Awarded to the Top-Rated entry chosen by public vote. Each participants must agree to the Terms & Conditions before participating in the event. 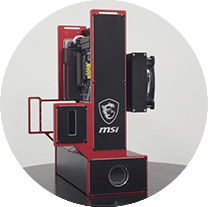 - MSI PRO MOD S5 is open to everyone worldwide. - Multiple entries by each individual is accepted. - Any copyright infringement or piracy is absolutely forbidden. 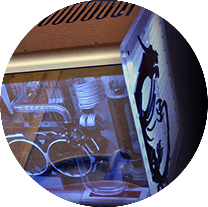 Your designs should be just that – your own case mod and case mod images! 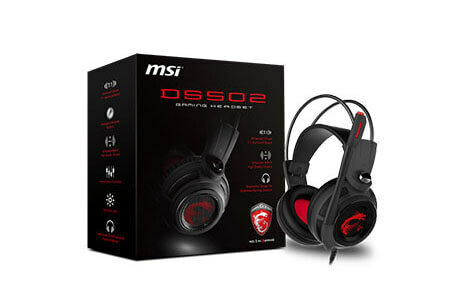 - The selected winners will be announced online. 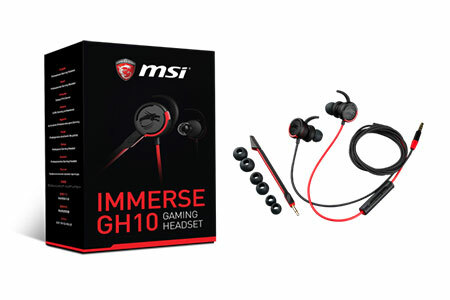 - MSI may use your mod images with or without any pseudo (pen) name credit. 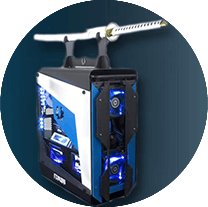 - MSI has the right to use your mod images and is perpetual. 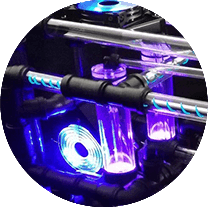 We may use your mod images locally, nationally or globally and such use may be made in any media, information or communication platform currently in use or later developed. 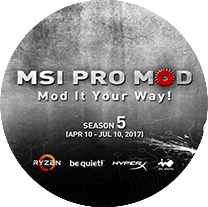 - Usage or reprint of your mod images will be at sole discretion of MSI and the sponsors of this event without compensation. 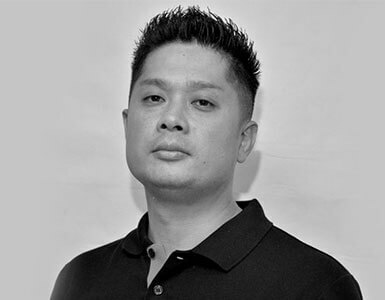 - MSI reserves the right in its sole discretion, to change, alter and/or modify these rules at any time. - By participating, you conclusively agree to be bounded by these contest rules and conditions. This is an irrevocable condition of entry. 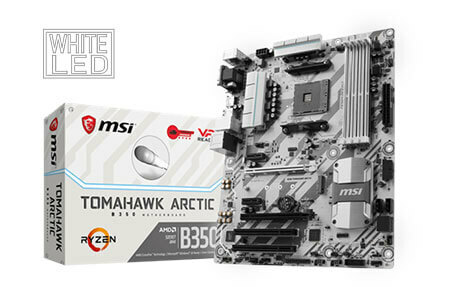 • Underlined by winning the prestigious iF DESIGN AWARD 2017, B350 TOMAHAWK ARCTIC design perfectly illustrates the evolution of this new AM4 generation of MSI motherboards. 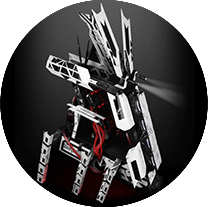 • Inspired by the concept of main battle tanks, the design, from its heatsinks to the military-themed PCB print, shows strength and sophistication. 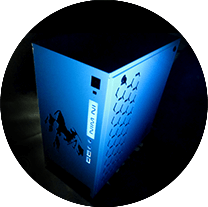 • True machine intelligence featuring 8 processor cores, 16 threads. • Aand Extended Frequency Range (XFR) in the presence of better cooling. 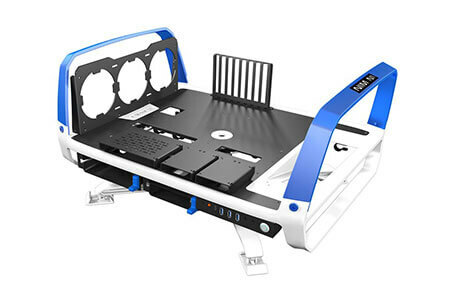 • Test Bench Design for Easy Installation and Removal. 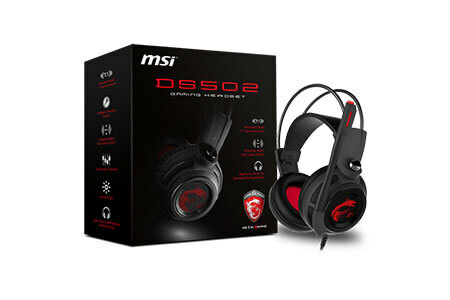 • Dual Orientation with 360 degree Rotation for Maximum Flexibility. • Newest USB 3.1 Type-C Ultra-High-Speed Transfer Interface. 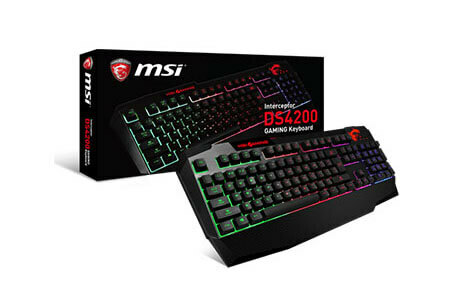 • Wield the Latest and Greatest Hardware. 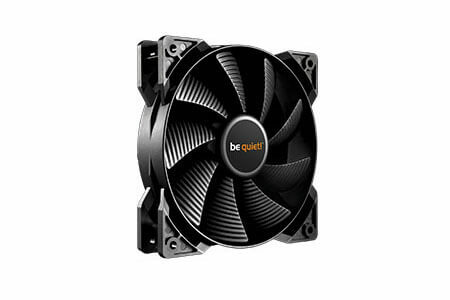 • Massive power, an overclocking key that switches between powerful four-rail and single-rail operation, world-leading quiet performance with a virtually inaudible be quiet! 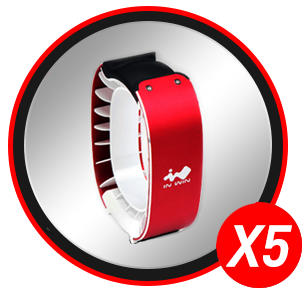 SilentWings® 3 fan. 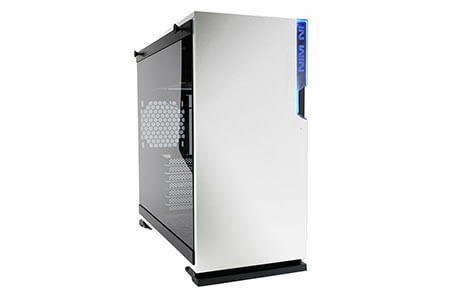 • One of the highest power efficiency certification available — 80PLUS® Platinum. • SilentWings® 3 stands for state-of-the-art technology, virtually inaudible operation and superior cooling. • A smooth-running 6-pole fan motor. • An advanced fluid-dynamic bearing. 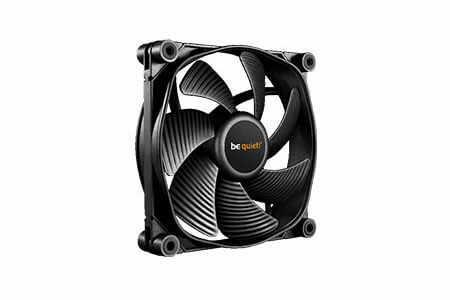 • A unique airflow-optimized fan blade design. • A fan frame with funnel-shaped air inlets. • Fierce heat spreader in black aluminum. 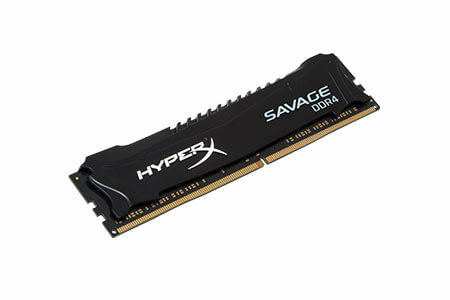 • High speeds and low latencies for extreme DDR4 performance. 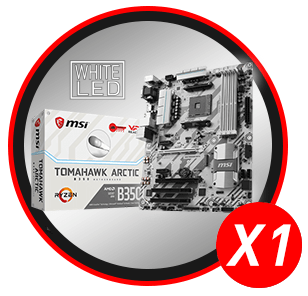 • Intel XMP-ready profiles optimized for Intel 100 series chipset and X99 motherboards. 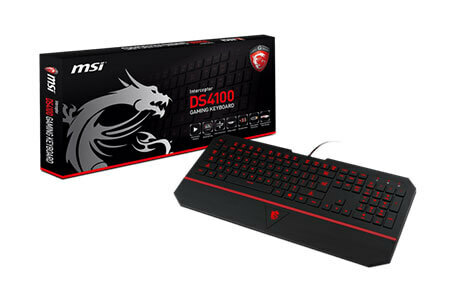 • Lower power consumption than DDR3. 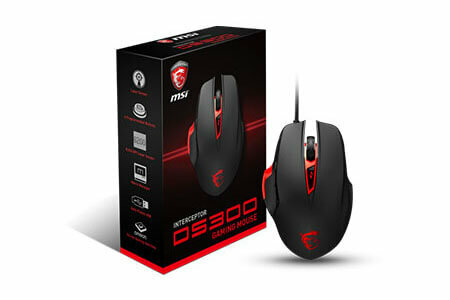 • Highest performance speeds with large capacities. 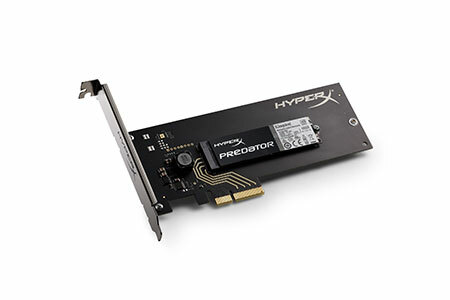 • PCIe interface with multiple form factors. 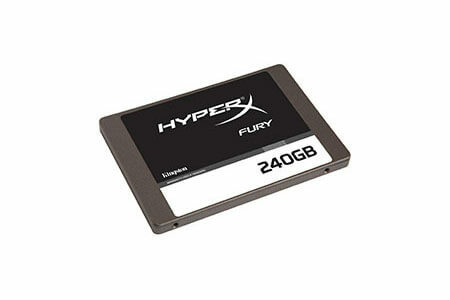 • One-brand solution for top-of-the-line performance memory and SSD components. 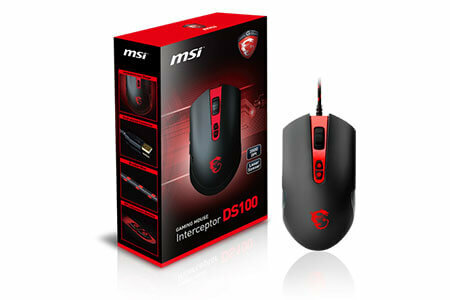 • Smooth Gaming and Advanced Multi-Processing Performance. 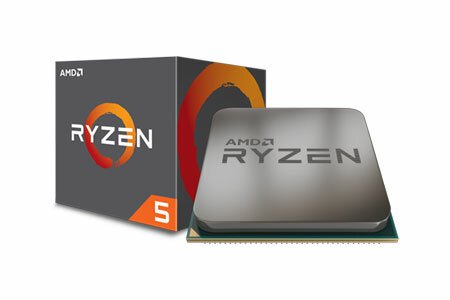 • The fastest 6-core desktop processor you can get with 12 threads for advanced gaming and multi-processing ability. 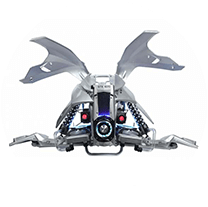 • And true machine intelligence to analyze and adapt to your needs. 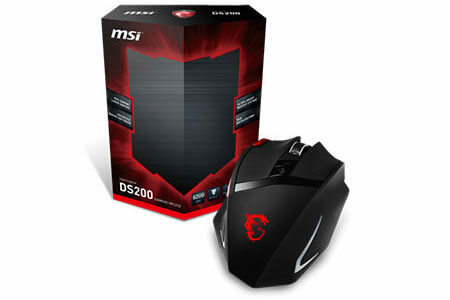 • 270 degree Wide-angle Visual Effect. • Unique In Win LED Logo. 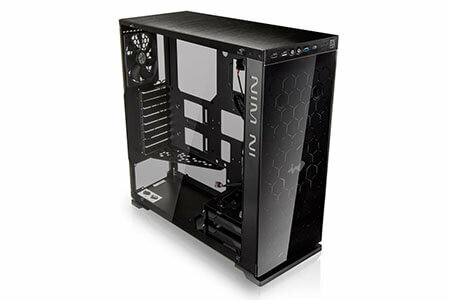 • Super Speed Transmission USB 3.1 Type-C.
• Versatile HDD Mounting Position for Optimized Functionality. 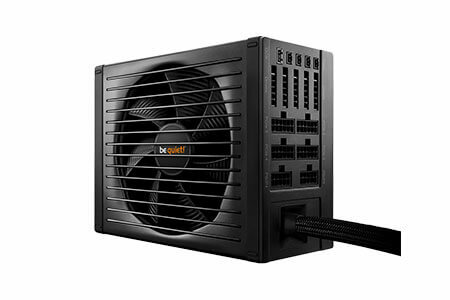 • Excellent Cooling Support for Better Airflow. 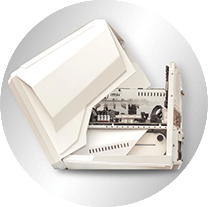 • Straight Power 10 raises the bar for systems that demand whisper-quiet operation without compromising on power quality. 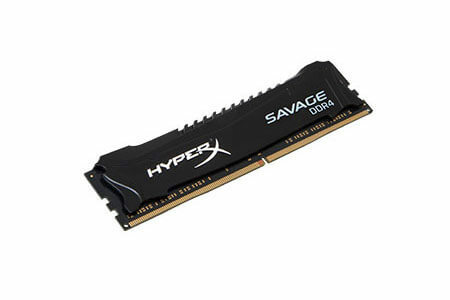 • Speeds up to 3000MHz and low latencies deliver exceptional DDR4 performance. 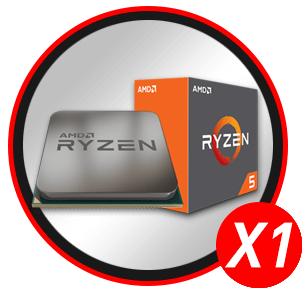 • Intel XMP-ready profiles are optimized for Intel 100 series chipset and X99 motherboards. • Asymmetrical, stylish die-cast aluminum, low-profile heat spreader. • Performance — incredible speeds for enhanced productivity. 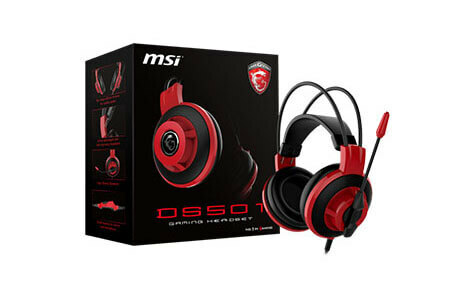 • Unique design — stunning red casing to give an edge to the latest PC hardware. • Slim — 7mm thickness to fit in most desktops and notebooks. 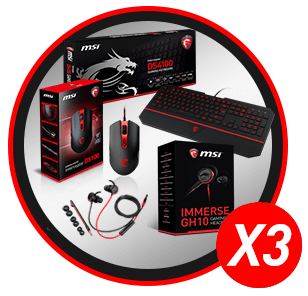 • Fast and easy migration — all-in-one kit available with premium HyperX accessories, including a handy multi-kit screwdriver and USB 3.0 enclosure for easy installation. 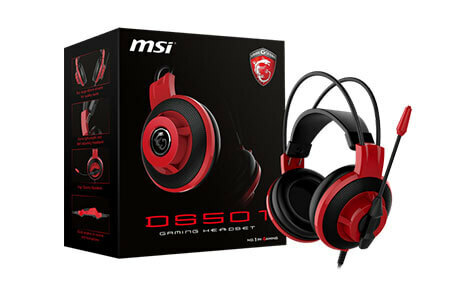 • High-Performance Gaming and Processing. 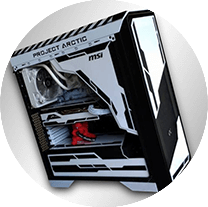 • Featuring 4 processor cores with 8 threads for high performance gaming and processing. 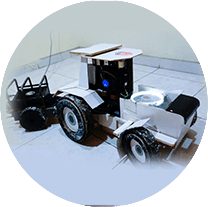 • With true machine intelligence to analyze and adapt to your needs. • And extended frequency range (XFR) in the presence of better cooling. • Pure Power 10 offers peerless dependability and best-in-class features. • Airflow-optimized blades that operate below 19.2dB(A) even at maximum speed, durable rifle bearing technology, and up to 80,000 hour lifespan. 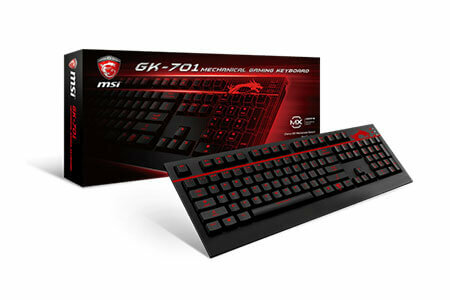 • Outstanding reliability and quiet operation at a great price-for-performance ratio. The ultimate reason to put well-known be quiet! 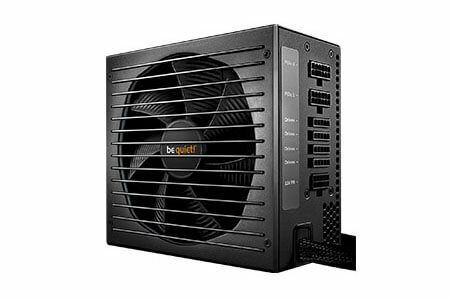 silent cooling in your PC. 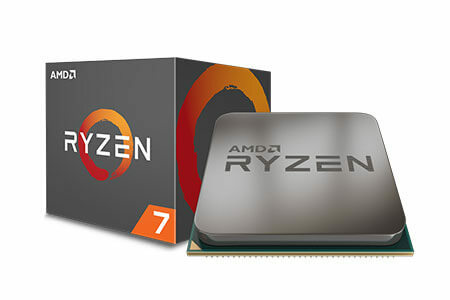 • Optimized for Intel's 100 series and X99 chipsets. 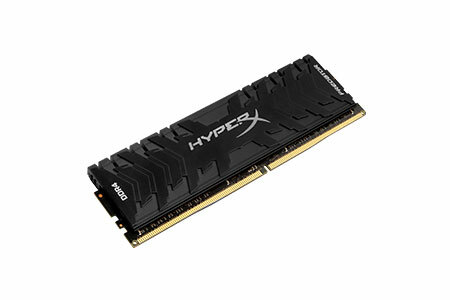 • Cost-efficient high-performance DDR4 upgrade. 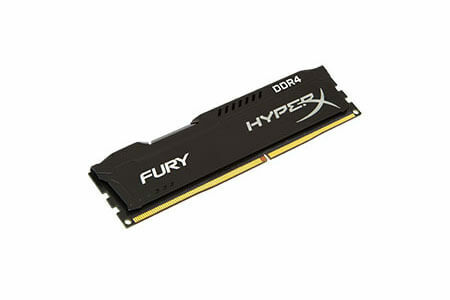 • At 1.2V, low power consumption compared to DDR3. • Stylish, low-profile heat spreader in signature FURY asymmetrical design. • SandForce® SF-2281 controller for SATA Rev 3.0 (6Gb/s) performance. 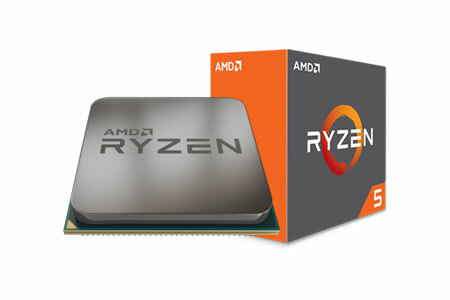 • Affordable upgrade maximizes system investment. 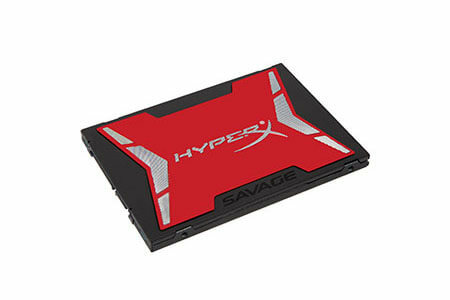 • Entry-level SSD with consistent HyperX® branding. • Cool, rugged and durable, with no moving parts. 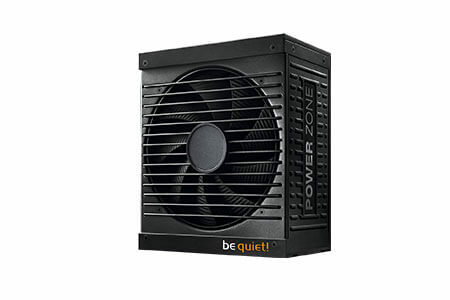 • Power Zone provides the winning combination of superior performance, rock-solid stability, and advanced cooling. 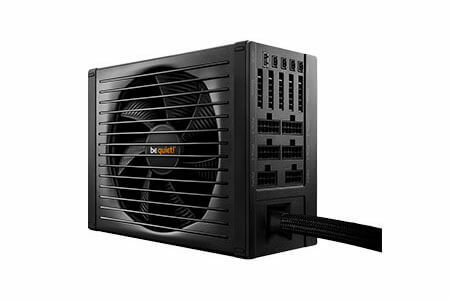 • Its offers a fully modular cable management, top safety features, and deep standby compliance. 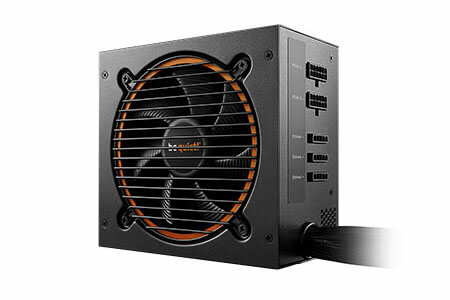 • The PSU is designed for powerful operation even at 50° C and is ideal for overclocking thanks to a massive 12V rail. 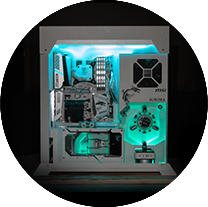 • Gigantea - 2nd place of "Tower Mod" category in Cooler Master Case Mod World Series 2016. 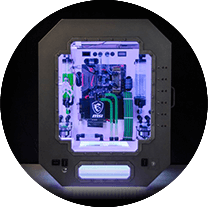 • F3 - 2nd place of "Tower Mod" category in Cooler Master Case Mod World Series 2015. 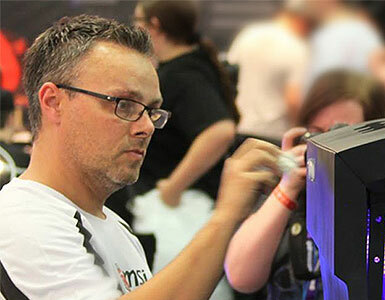 • Obsidian - 1st Place of "CaseMods" category in DCMM 2011. • Obsidian - 3rd Place of "Cases on the move" category in DCMM 2011. 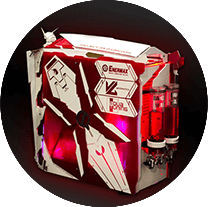 • Minions - The 3 Most Incredible PCs of April 2014 - Forbes. • Skyline GT-R - 1st place in Bit-Tech Rig Of The Year 2013. • Infinity Gauntled - 2nd place of "Germany's most beautiful Beauty Case" category in DCMM 2016. • Infinity Gauntled - 1st place of APAC region in MSI PRO MOD S4. 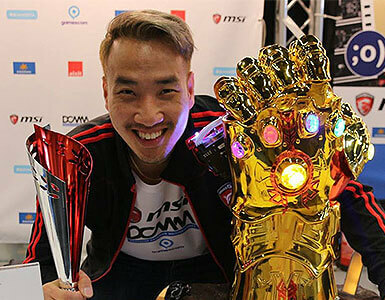 • Infinity Gauntled - People's Choice award in MSI PRO MOD S4. 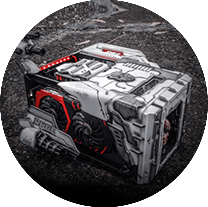 In MSI PRO MOD S5, you are able to compete in more than one category: Scratch Build and Casemod. 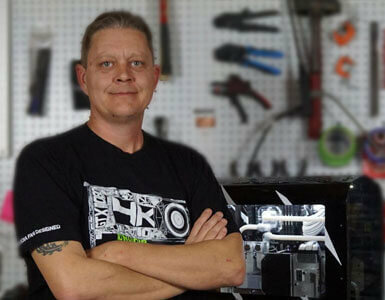 We believe that this change will help ensure that the very best modders apply and advance in the competition. 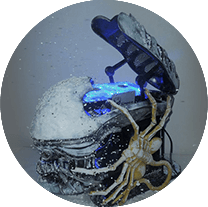 Besides, the Special Jury Prize is created separately from the Grand Prize and awarded to the best mod made by using 3D printing parts. We are glad to invite four well-known professional judges to create modding demostraction built with MSI AM4 gaming motherboard. 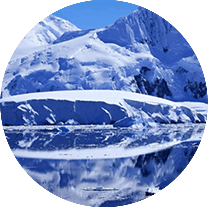 “ ARCTIC ” is the assigned subject for this competition. 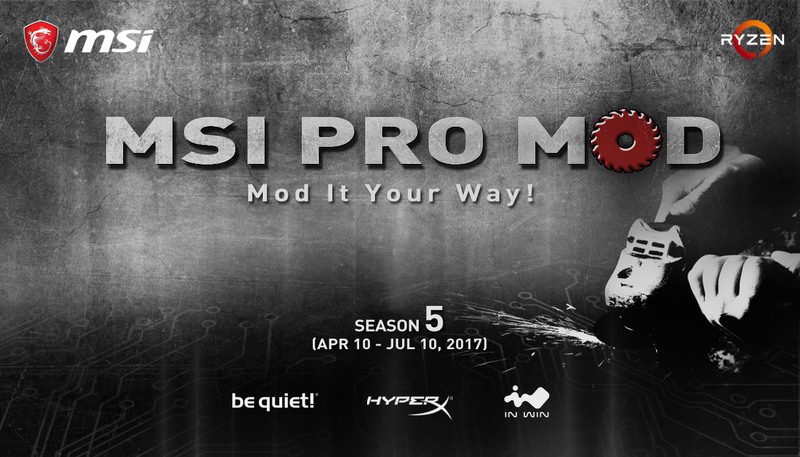 So, stay tuned for upcoming MSI PRO MOD S5! Show your professionalism to the world! 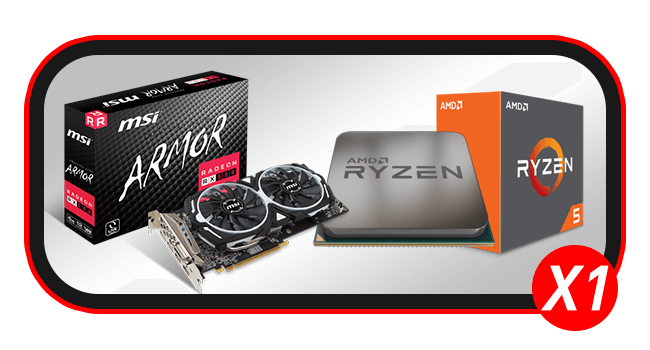 Special thanks to our hardware supporters:AMD, be quiet!, HyperX and IN WIN.